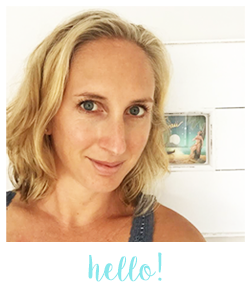 So, you've finally booked your flights and accommodation to Hawaii? Now it's time to start planning your stay! There is so much to see and do that whether this is your first or tenth time visiting Oahu, whether you're staying for five days or three weeks, you won't even scratch the surface of things to do and see on Oahu. 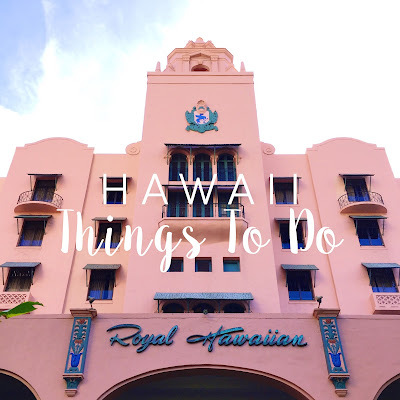 My husband and I put together a list of what we think are must do activities when visiting Oahu. My first and very best piece of advice is whatever you plan on doing, do it early! Be the first ones there. Otherwise the cues are enormous and they move slowly. And in that heat it is no fun waiting around. 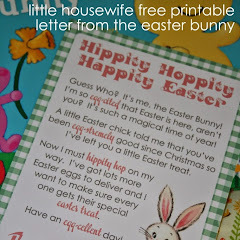 Especially if you have kids! Get up and get going early! 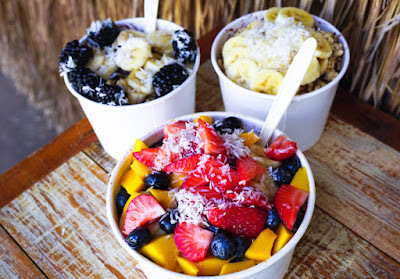 If you've ever wanted to learn to surf then Waikiki is the place to do it. There are heaps of Beach Boys all along Waikiki Beach who will take you out for a surf lesson. The small, gentle waves at Waikiki offer a long, smooth ride. It's so easy that a lot of the Beach Boys will "guarantee" to have you up and riding within an hour. Once you're confident you can hire a longboard and head out on your own. The original Hawaiian Rollercoaster Ride! This is great fun - especially when the waves get up a little bit. 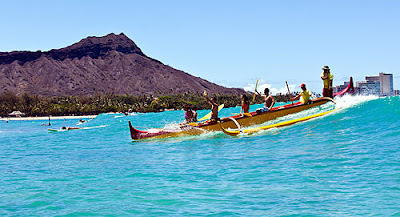 Head out deep in to the crystal blue waters of Waikiki Beach - you'll probably spot a turtle or two on the way out, and then paddle, paddle, paddle to catch a wave to shore with the sea spraying back at you. It's a lot of fun! 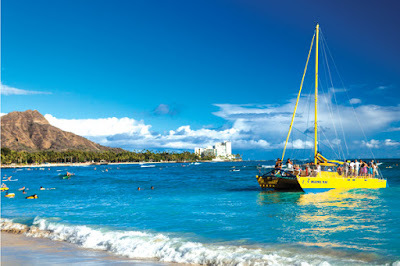 I would highly recommend taking a catamaran ride from Waikiki Beach, round the back of Diamond Head and back again. It's amazing seeing Waikiki from far out at sea. And again, the sea life is amazing and perfect for spotting turtles. Plus it's a great way to meet other international travellers. Just look for the brightly coloured boat sails on Waikiki Beach. 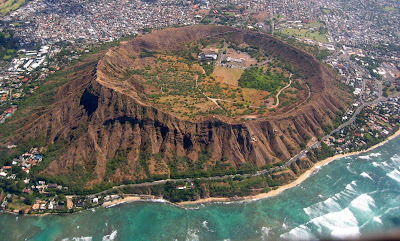 The view from Diamond Head is spectacular and well worth the walk to the top. The base of Diamond Head is easy to reach by catching the number 2 bus. The walk itself is similar to walking up Rangitoto, although not as far. It is however extremely hot inside the crater and there are portions of the walk which go through tunnels in pitch dark. I would suggest a torch (although we have always relied on other peoples torches to guide our way ;-) We've only ever walked it in jandals but I would recommend more sensible shoes. FYI - You can buy a "I climbed Diamond Head" t-shirt when you finish at the bottom. If you know anything about World War II, you'll know that the bombing of Pearl Harbour on 7 December 1941 was pivotal in America joining the war effort. Eight US Navy Battleships were damaged, four of which were sunk during the attack on Pearl Harbour. All of the ships where salvaged with the exception of the USS Arizona. 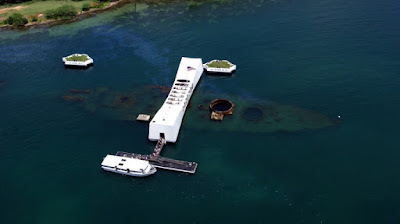 The wreck of the USS Arizona still lies at the bottom of Pearl Harbour which is the resting place of 1102 men. After a very moving mini documentary you catch a boat out to the memorial which rests across the ship. In the beautiful sunshine, it is unfathomable what once happened where you are standing. Pearl Harbour is a place of deep respect and often survivors of Pearl Harbour are on site to share their memories and experiences. It is not a place for children to run around. I would recommend going when your children are older and can appreciate the significance of the site or sans kids. You can reach Pearl Harbour by bus or by booking a shuttle. The warm waters of Hawaii are filled with beautiful, brightly coloured, tropical fish which makes for amazing snorkelling. One of the most popular places to head if you'd like to snorkel is Hanauma Bay. You can use the public bus service to get there or book a shuttle bus. It can get pretty busy so I recommend getting there first thing in the morning. 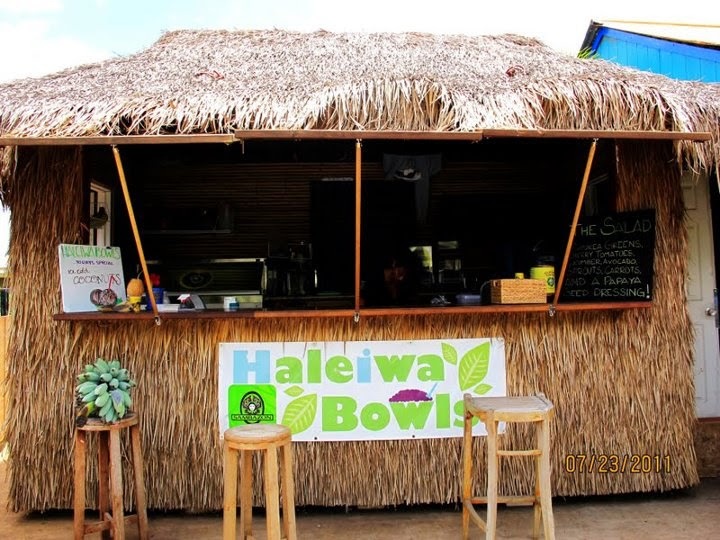 As Hanauma Bay is a Nature Preserve and Marine Life Conservation District you'll be guided to watch a short film on the do's and dont's to help protect the environment. I can still hear the "Don't step on me" song they play about not walking on the coral reef. Ha! 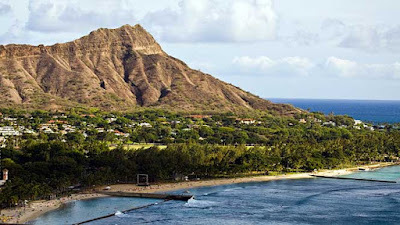 For Elvis fans, Hanauma Bay is also where some scenes from "Blue Hawaii" were filmed. Hanauma Bay most certainly isn't the be all and end all of snorkelling though. You can find pretty amazing snorkelling at any beach in Hawaii. If you're looking for a day out of the sun with the kids then the Honolulu Zoo is great value. We went for the first time on our most recent trip with the kids and we loved it. 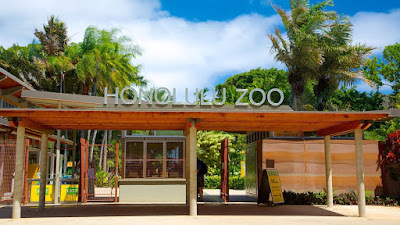 They have everything you can expect as most zoos plus some animals we'd never seen before. Their flamingos were the most amazing bright pink! I was fascinated by the toucans. They were incredible. My husband loved the elephants. They were massive! And only really separated from us by a rope fence. 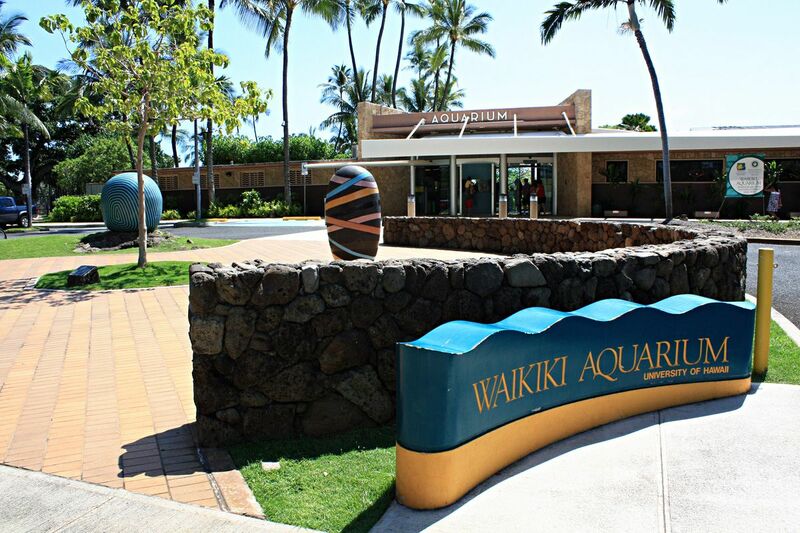 Just down the road a little from the Honolulu Zoo is the Honolulu Aquarium. I haven't been here in years and my parents took the girls to visit this attraction this time around. They loved it so if you're looking for a day out of the sun with the kids then I would say this is still worth while. 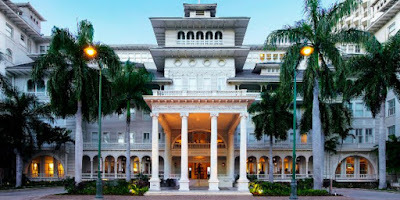 and the stunning Moana Surfrider which first opened in 1901. You are welcome to explore both of these hotels as well as enjoy their bar and restaurant facilities. And it is well worth it. It's like stepping back in time. 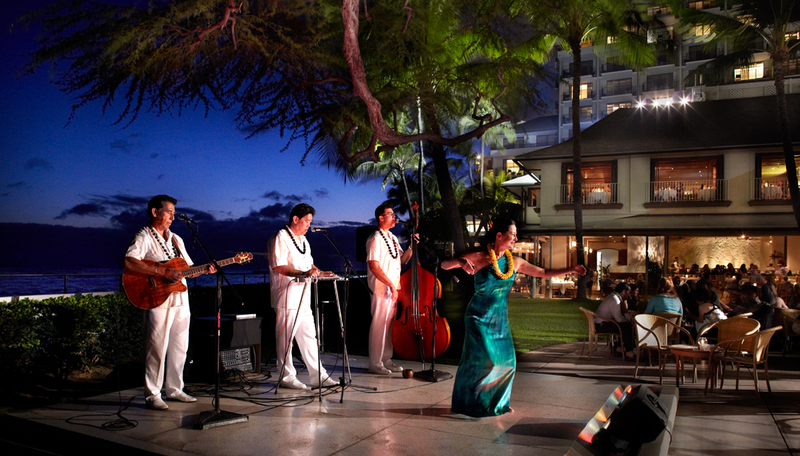 The décor, whilst all new and modern, embraces the golden era of Hawaii. Everything is luxurious and nods to the niceties of life that are so rarely found nowadays. They are both absolutely stunning and high on my list of visiting and exploring. 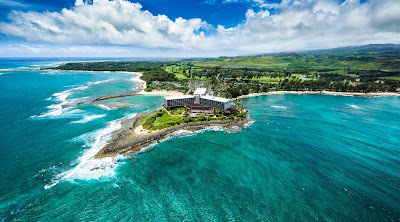 There are also modern hotels such as Halekulani which is absolutely stunning. Halekulani have an amazing restaurant called House Without A Key where you can peacefully listen to traditional Hawaiian music and sip cocktails from pineapples with the beautiful Waikiki beach and Diamond Head in the background. Absolute bliss! 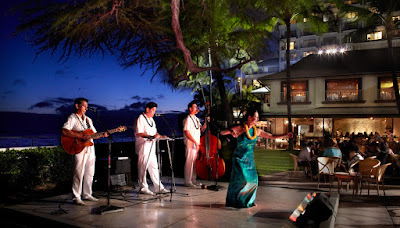 The Hilton Waikiki is also another great one to visit. They have great restaurants, waterslides for the kids and every Friday night at 8.00pm they host a short fireworks display which you can watch from anywhere along Waikiki beach. 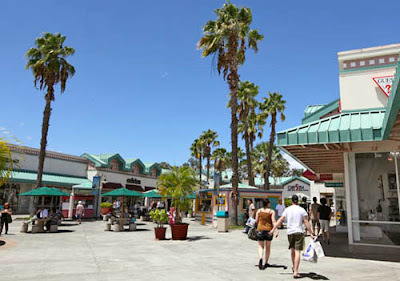 I mentioned in a previous blog post that Waikele Premium Outlets is a must visit for shopping. Premium name brand stores at just a fraction of the normal retail price. Plus the opportunity to receive even further discounts by obtaining a "Savings Passport". 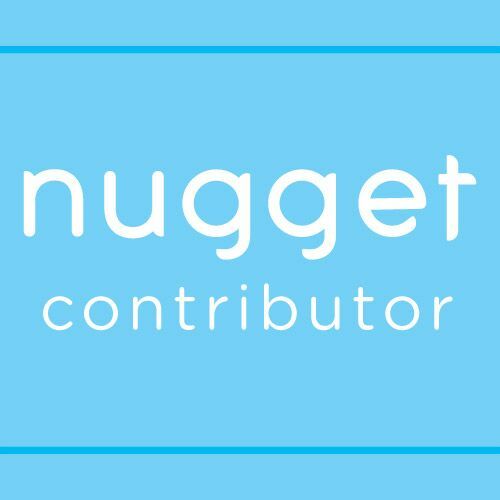 Check out my previous blog post for more in depth information. 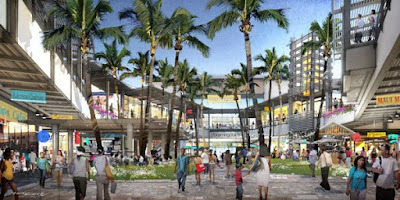 Ala Moana is the worlds largest open air shopping mall! 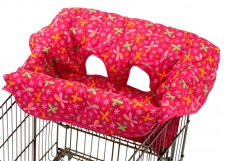 Shoppers - you have met your match here! Ala Moana is incredible and they are forever extending it further and further every year. If you were to visit every store within the mall you would be shopping for about three days solid - believe me! I know! There is everything you can possibly think of here and more. Plus there is a huge anchor store at the end of each wing including Macy's, Nieman Marcus and Bloomingdales which are a separate trip in themselves. The whole thing is just massive! A true shoppers paradise. 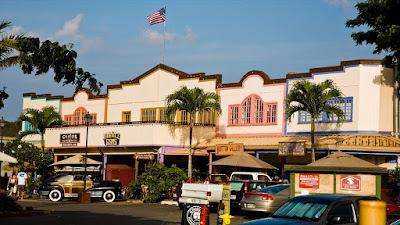 There are several other huge malls on Oahu including Pearlridge Mall and Kahala Mall but start with Waikele and Ala Moana first and see how you go ;) You can get there from Waikiki by catching the number 8 bus. It's just $2.25 per adult and takes just 10 minutes to get there. 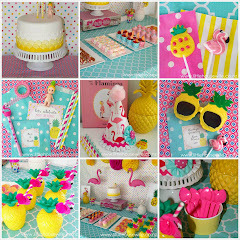 The home of the iconic pineapple brand. 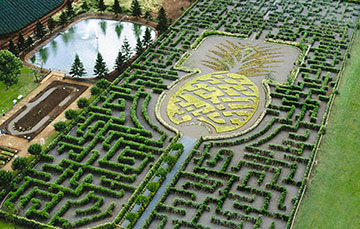 Here you can visit the world largest maze (in the shape of a pineapple of course! ), take an informative train ride through the pineapple fields and sample the amazing DoleWhip (pineapple softserve) which is only available in two places worldwide - Disneyland and Dole Hawaii! 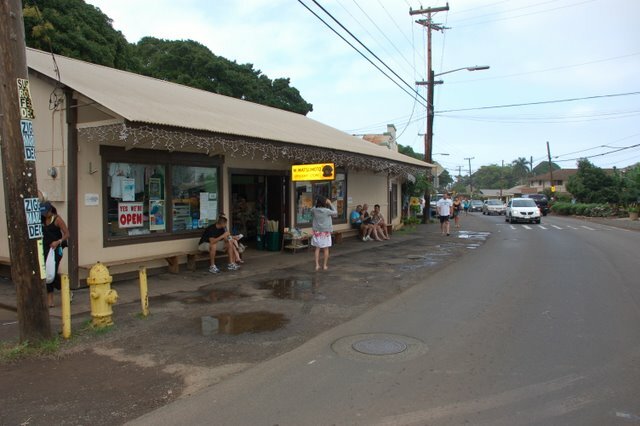 I love this laid back town centred around all things surfing. There are some amazing small restaurants and food trucks selling incredible fish tacos and shrimp. 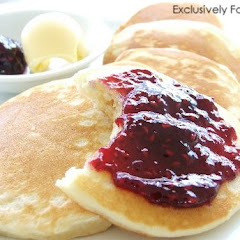 It's worth the trip just to eat. And no trip would be complete without a trip to Matusmotos - the world famous Shave Ice Shack. Some days the line can be hours long so good luck with that! 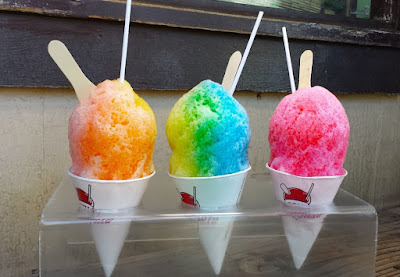 If you can't handle the cues there are plenty of other shave ice stores but Matsumotos is iconic. For those who prefer healthier fare, Haleiwa Bowls is a must stop of acai or smoothie bowls. SO good! There are plenty of amazing North Shore beaches to stop at along the way. If you're visiting in January you might be lucky enough to see the Pipeline surf breaking in full effect. The Circle Island Tour will most likely take you to a place to see turtles which is always beautiful. One of our favourite North Shore beaches in Waimea Bay, famous for it's enormous waves but when visiting during the American summer months the water is gentle, crystal clear and very buoyant. And yes, the water really is that blue. Or you might head around to stunning Turtle Bay. Phew! So what do you think? Pretty amazing right? One visit and you won't even scratch the surface! I didn't even touch on the macadamia nut farms, bike riding, luaus, submarine, pirate ship, helicopter rides, plane rides, rainforest walk, waterfall swimming, dolphin swimming, shark cage dives, sea life park, wet & wild, world class golf courses and much much more. There is literally something to suit everyone!